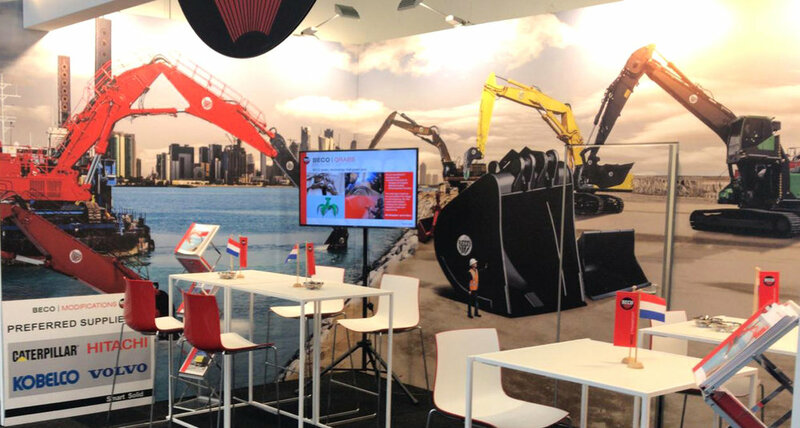 From 8 - 14 April 2019, the Beco Group will be present at the international BAUMA exhibition in Munich, Germany. 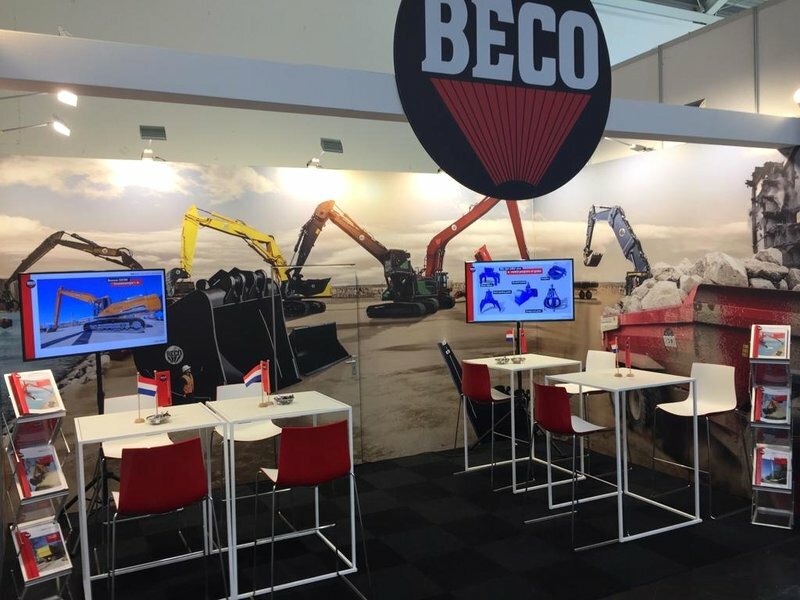 The Beco Group presents itself on the Bauma with MODIFICATIONS, GRABS, ATTACHMENTS and TRANSPORT. These departments provide a complete range of grabs for recycling, waste processing and dredging, equipment for excavators, wheel loaders and telescopic handlers and tipping trailers for agricultural and earthmoving activities.